...s funky and fascinating life. 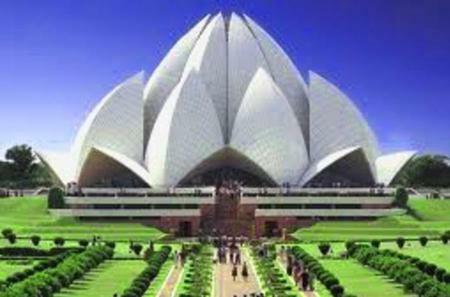 See the Red Fort and India Gate, as well as the Lotus Temple and the market of Dilli Haat. 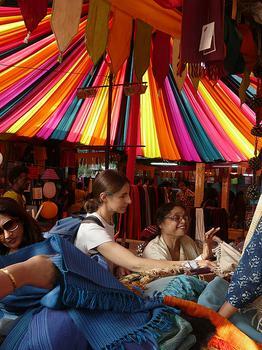 Dilli Haat is the cultural heart of the capital, lined with kiosks representing each state of India. 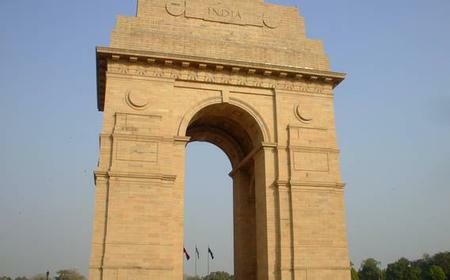 Dilli Haat is the cultural heart of the capital, lined with kiosks representing each state of India. 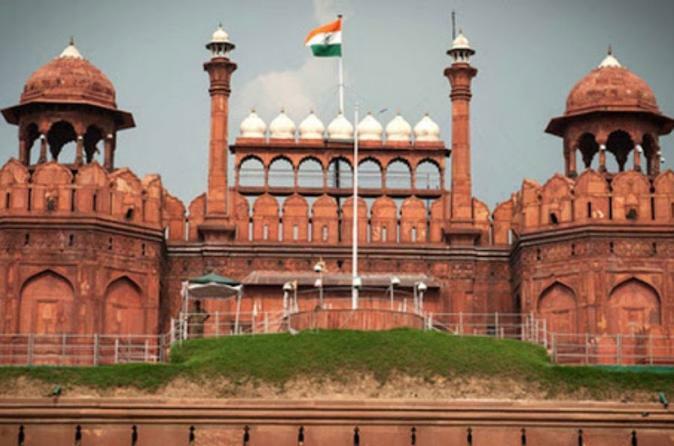 The open-air arcade spread over 6 acres is one of the best places to pick up traditional handicrafts and garments from different states, as well as sample their wonderful cuisines in Foods of India. 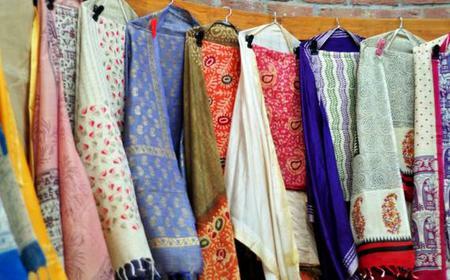 Get your pick of Kashmiri woollens and carpets, sandalwood carvings from Karnataka, Rajasthani camel hide footwear, Tamil Nadu silks, Kantha saris, silver filigree ornaments, varied handlooms, brass items, precious gems, beads, metal crafts, and pottery.